W. W. Norton & Company, 9780393073584, 336pp. 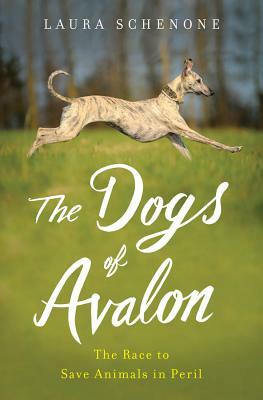 The Dogs of Avalon introduces us to the strong-willed Marion Fitzgibbon, born in rural Ireland, where animals are valued only for their utility. But Fitzgibbon believes that suffering is felt by all creatures, and she champions the cause of strays, baffling those around her--including her family--as she and a group of local women rescue any animal in need and taking on increasingly risky missions. When Fitzgibbon becomes head of the Irish Society for the Prevention of Cruelty to Animals and focuses on the cause of the greyhound, she faces an entrenched racing industry protected by money and power. She joins forces with an American greyhound activist, a foxhunter's wife, a British lady, and an influential German animal rescuer to create an international network to find these animals homes, confront the racing industry, and provide safe havens where animals can live in peace. The Dogs of Avalon brings forward the people on the other side of the tracks--Irish Travellers (a people whose Celtic history goes back centuries), dogmen who hope to win big--together with a host of animals on two continents--circus tigers in Ireland, wild monkeys in the Yucatan, dolphins in a marine animal park in Florida, and one very special Irish sight hound in New Jersey named Lily. In this potent David and Goliath story, Schenone's journey helps us understand our deep connection to animals and gives us inspiration in the form of the unforgettable Fitzgibbon, who grapples with compassion and activism and shows the difference we are all capable of making in the world.